A community is a lot of people working together to help each other. 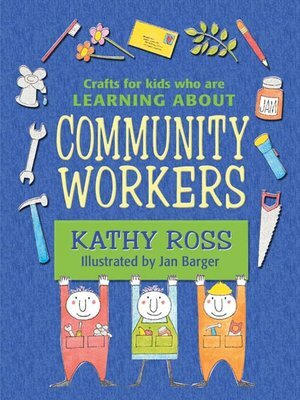 In school you are learning about all of the things that community workers do to help you. The projects in this book are all about these workers. They include an Apple for the Teacher Pencil Topper, a Mail Carrier Dispenser for Stamps, a Sock-It Away Bank, a Jackhammer Puppet, a Squirting Hose Puppet, and even a pair of play Handcuffs! So get out your scissors and paste and a few household recyclables, and celebrate your community!